I brought this dress second hand off here as I fell in love with it. Unfortunately it doesn't fit me anymore. But my loss is your gain, as this dress is truely beautiful. Akina Bridal Couture ‘Sarah' softly fitted shape latte with ivory lace overlay. 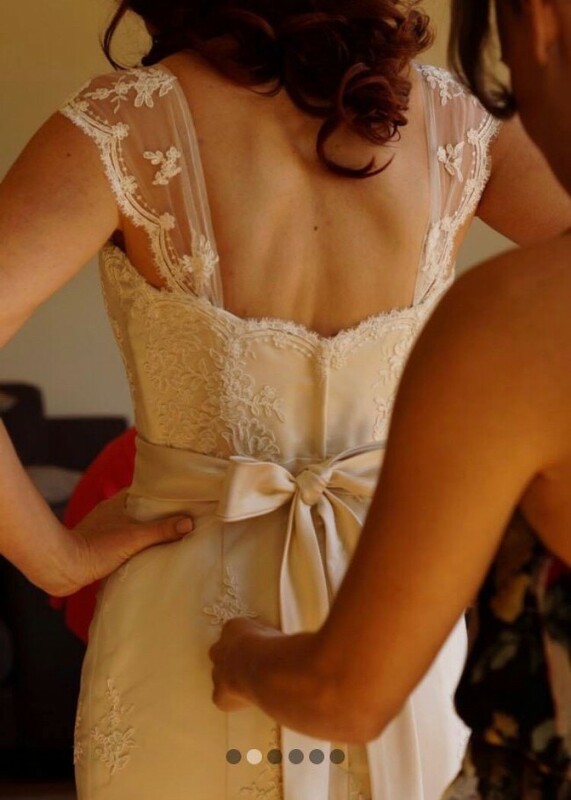 Originally strapless, previous owner had alterations made to include lace cap sleeves and sweetheart neckline. Professionally dry cleaned by previous owner. Receipt still attached. Located in Canberra ACT. I am very happy to you to try it on if you are in the area. The dress has a small tear in lining.